Style Villain is a Mt. Pleasant, South Carolina based clothes retail business located in the Town Center on Highway 17 North. Style Villain will focus on marketing medium to high end articles of clothing targeted at college students and young professionals. Style Villain aims to market clothing that is more mature than A&F or American Eagle, but remains affordable to young professionals and college students, while retaining a “young” vibe. Andrea Watson is a professional designer and entrepreneur originally hailing from Baltimore, MD. She has over 15 years of experience designing for major brands such as Uniqlo, Gap, and Fruit of the Loom. Ms. Watson’s intends to leverage her successful career and numerous industry contacts to strike out and create her own clothing brand. Style Villain will market all types of clothing for both men and women, including casual, semi-casual, and professional outfits. The company will also sell hats, belts, scarves, and jewelry, all of which will complement each other to sell complete outfits. Style Villain will aim to create trendy, fashionable clothing and accessories with a youthful edge. Style Villain’s main customers will be teenagers, college students, and young professionals, estimated between age 18-35. Our products will be priced appropriately to be affordable for people within this age group. We anticipate that our target customers will on the whole possess less disposable cash than customers outside of our target age range. Marketing for Style Villain will be done through signage, flyers, coupons, direct mail, billboards, strategic business relationships, Internet and social media. Each marketing aspect will require a cohesive strategy that is mutually reinforcing to get the most benefit. A more detailed strategy can be viewed in the Marketing and Sales chapter of this business plan. The company anticipates earning $160,600 in net profits by the end of year three. In order to remain cash solvent during the first year of startup, the company will require $75,000 to cover the costs of salaries, an initial marketing blitz, and other incidental costs. Ms. Watson will provide $30,000 of her own money, and take a $45,000 loan from the Bank of America to satisfy startup cost needs. Read a detailed guide for how to write an executive summary here. Get your business started today. Click HERE to Write Your Clothing Business Plan Now! Style Villain is based and incorporated in South Carolina. The business was formed on August 1, 2014, and serves the local market of the town of Mt. Pleasant. The company expects to attain significant market share of college age students and young professionals looking to appear fresh and stylish. Andrea Dawson has more than 15 years in the design industry and holds a master’s in fashion management. Beginning as a low-level designer and seamstress, she quickly rose in the ranks of companies such as Uniqlo and Fruit of the Loom due to her eye for contemporary fashion and strong product development instincts. Eventually, after serving on the board of Soma Design Co., she decided to strike out on her own and form her own brand. Ms. Dawson brings over a decade of experiences and deep industry contacts to the table, which will help lubricate the otherwise tedious processes of starting a clothing company. Style Villain will require $75,000 in startup costs to remain solvent over the first year. Low profit margins, staffing requirements, and an initial advertising blitz will consume the first year’s profits and require a bank loan of $45,000 for the company to remain cash flow positive. Ms. Dawson will supply the other $30,000 in initial startup funds. By the second year, profits will exceed spending. By the third year, the bank loan will be paid off entirely. Style Villain will provide young professionals a striking alternative to the usual chain brands, while remaining affordable and fashionable. Easy, casual, fun. Style Villain was conceived by Ms. Dawson in 2013 while she served on the board of Soma Design Co. Ms. Dawson recognized that there was a market opening for edgier design as “big brand” clothing retailers continued a trend towards homogeneousness. Style Villain is located on the heavily trafficked path to the movie theater. For manufacturing, Style Villain will be working with Solomon Rose Co., a clothing manufacturer based in South Carolina. Fabrics will be sourced from Carolina Cotton Works. Ms. Dawson has negotiated excellent terms with both companies, using her contacts within the fashion and design industry. Despite the higher base costs, Ms. Dawson insists on using US based manufacturers for three major reasons. First, overseas manufacturers often create poor quality products, and are difficult to communicate with. Secondly, overseas manufacturers are also gaining a bad reputation amongst socially conscientious millennials, Style Villain’s target customers. Thirdly, overseas manufacturers require a large quantity of orders, which a small boutique like Style Villain does not require. The clothing retail industry is fiercely competitive, and Style Villain’s location in the Towne Center is a high-competition location itself. However, the Towne Center also brings in a high volume of customers daily, which helps to nullify the adverse effects of a competitive market location. Within the Towne Center, our main competitors will be Belk, American Eagle, Abercrombie & Fitch, Amelia’s, and Gap. The companies target a similar range of customers, mostly overlapping around millennials, generation X, and teenagers. Style Villain will be aiming for millennial customers looking to wear stylish, high quality clothing that isn’t “brand name” or mass marketed. Any and all designs created by Ms. Dawson or others for Style Villain will immediately be under copyright. Style Villain will aggressively pursue copyright infringers within the full extent of the law. Ms. Dawson hopes to open a sister shop in Savannah, GA if Style Villain is successful in Mt. Pleasant. Clothing retail in Mt. Pleasant, SC follows similar trends in affluent cities across the United States. The average yearly salary of a Mt. Pleasant resident is $52,000 per year, and cost of living in lower than in most parts of the country. This means that Mt. Pleasant residents have a higher than average amount expendable income. Associates at the company will be knowledgable and friendly. The improving economy is also improving consumer confidence across the United States. Taking a narrower view, Mt. Pleasant itself experiencing an economic boom due to Google’s server warehouse and Boeing’s factory expansion into the Mt. Pleasant suburbs. Mt. Pleasant is experiencing an influx of affluent families hailing from the north. Business across Mt. Pleasant and Charleston are beginning to boom and expand due to the influx of new money. There is a market need for new clothing retail shops to meet the demand of new customers. In addition, the clothing tastes and trends in the south are different from the north. Style Villain will move away from classic southern styles like khakis and polo shirts and target an edgier, less traditional niche. Ms. Dawson’s designs aim to fuse southern and northern sensibilities, while keeping a high quality, classy aesthetic. “Omnichannel” retailing is quickly becoming the norm for smaller retailers who are looking to edge out bigger companies with stronger brands. “Omnichannel” marketing allows for the customer to complete transactions in any way that they want to — for instance, they can order clothing online, and return it to the store physically. Style Villain will work to make the purchase and return process as streamlined and efficient as possible for customers. Style Villain will also accept payments through mobile wallets to facilitate business, save money on transactions, and keep up with millennial trends. Mt. Pleasant and Charleston area businesses are set to expand rapidly as affluent families move from the north. Not only is Mt. Pleasant growing due to Google and Boeing’s expansion into the area, but also because it is consistently being voted the number one city in the US (for the third consecutive year.) Charleston is officially “on the map” for retirees, college students, and people looking for a change of pace in their lifestyles. Style Villain will be set to capture this growing market on its upswing, and make a name for itself as a provider of quality, stylish garments. Key customers for Style Villain will be college students and young professionals, age ranging from 18-35. These customers will either hail from affluent families or themselves have decent salaries and expendable income. Market research suggests that millennials in this age group in the Mt. Pleasant area are looking for new, unique clothing options from the usual fare. Ms. Dawson will aim to provide this valuable market segment with interesting designs that match their budding personalities and ambitions. Marketing for Style Villain will be conducted across all channels. Signage, newspaper, flyers, brochures, online, social media, word-of-mouth, strategic alliances, and coupon strategies will all be used in tandem to market the company’s products. Style Villain will be competing with several large clothing retail stores with strong brands, as well as boutiques. The company will aim to compete indirectly with these other companies by carving out a unique niche for itself. Ms. Dawson recognizes an opening in the market to target youth and young professionals looking for a unique, stylish, and classy look that breaks away from the traditionally southern styles that have dominated Charleston for decades. Market research done by the company has revealed that Mt. Pleasant is ready for Ms. Dawson’s design vision — people are ready to try new styles and are excited by the prospect of purchasing products from Style Villain. Pricing for Style Villain will be higher than average for shops overlapping within the same niche. Despite these three added costs, Style Villain’s prices will still be extremely competitive, measuring tens of dollars higher than companies overlapping within our niche. Ms. Dawson believes that millennials will be willing to buy a higher quality, ethical product for a little more money. Promotion of Style Villain’s goods will be a “kitchen sink” strategy. The company will advertise across all channels, including old media and new media. Coupons will be used to increase brand recognition. Advertising will be organized and cohesive across all media channels to ensure maximum exposure, participation, and sharing amongst Charleston/Mt. Pleasant residents. 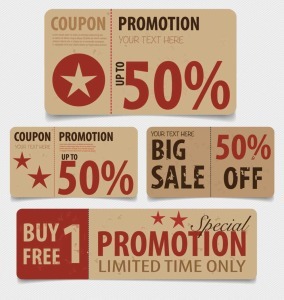 Initial marketing tactics will be heavily coupon and sale based to draw in customers. Customers in the store will be able to earn further sales by checking in, “liking” the store page, or sharing the store with friends over any form of social media. Billboard signage will be purchased for a month during the initial startup phase, and coupon flyers will be mailed out to The Brickyard and Dunes West communities to draw in initial customers and create a client base. The company’s products will be distributed from the retail location in the Towne Center, and will deliver to areas within the southeast. The company has plans to expand its delivery service to the entire United States within three years. Style Villain has several strong points that make it a competitive player in the retail clothing boutique niche. First, it’s an ethical company, both in terms of environmental impact and human rights. Ms. Dawson is an award winning designer. The company’s partner manufacturers are based in the United States, and materials are being sourced from US based growers within the southeast. The company’s carbon footprint is small, and its entire growing and manufacturing process is labor friendly. Ms. Dawson brings over a decade of experience in clothing design, retail, and marketing for major brands. She brings with her an award-winning clothing design sense, and contacts within the industry. Due to her contacts, she was able to negotiate favorable terms with the manufacturers, allowing her to keep prices competitive despite the extra costs of US labor and materials sourcing. Despite the favorable terms negotiated by Ms. Dawson with the company’s partner manufacturers, prices will nonetheless be higher than our direct and indirect competitors. However, according to market research, our target market is willing to spend more money on high quality items that are eco-friendly and labor friendly. Style Villain’s higher prices will be couched in heavy marketing, ensuring customers are aware that they are purchasing a product that aligns with their value systems. Ms. Dawson sees an opportunity to expand Style Villain into Savannah, GA, provided the store is successful in Mt. Pleasant, as these two cities share a similar aesthetic and appeal. Mt. Pleasant’s rapid expansion means that there are several other entrepreneurs who will also be opening boutique clothing shops. Ms. Dawson’s contacts in the industry and familiarity with the business will allow her to navigate the complications of running a retail business, giving her an edge amongst her new competitors. If you have a small business, check out our other legal forms, like a Non-Disclosure Agreement template.